A visit to the Museum is an excellent way to provide students with an understanding of what the past was like. Students will enjoy the learning about local history with the opportunity to see many objects in context and with the location central to Wollongong a broader historical excursion to the harbour, Andrew Lysaght Park and Market square could be possible. 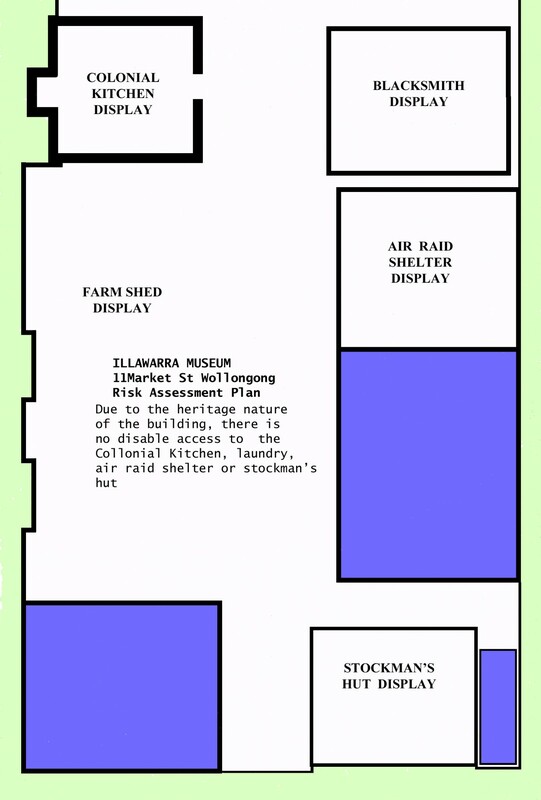 Two 15 minute videos are available to view some of the collection and exhibition you will expect to see at the museum and provide a brief history of the Illawarra. Click on the links below to access these. There is a charge of $3.00 per student. There is no charge for teachers and carers. Teachers are encouraged to prepare material prior to the visit. Some worksheets are avaliable from the museum (see below). 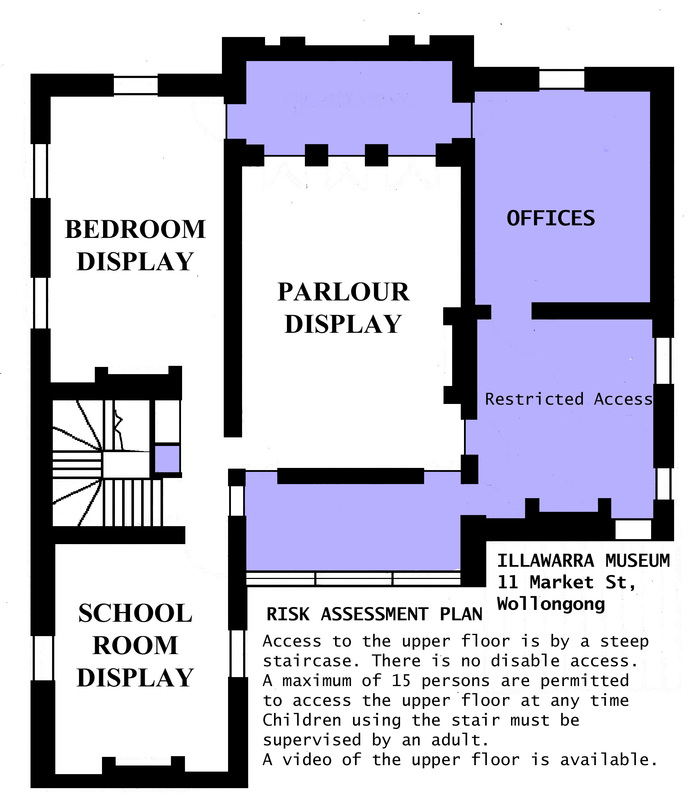 The Museum is a two storey heritage building with some constraints that need to be taken into account when considering a school visit. 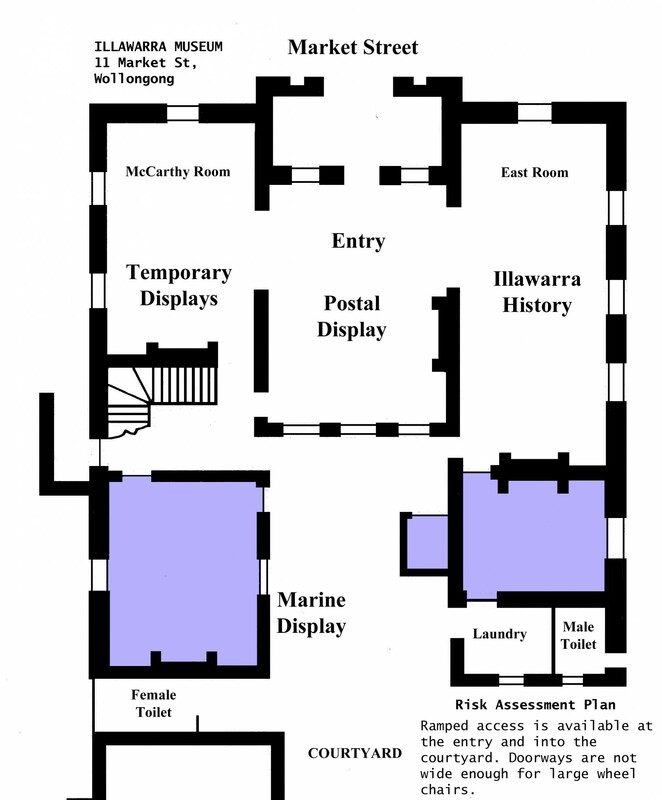 Plans of the building are available below. A steep staircase is the only access to the upper floor. Ramped access can be provided to the ground floor of the main building and to the yard but doorways are not wide enough for larger motorised wheelchairs. Toilet facilities do not meet disability standards. The role of Museum volunteers is to explain the exhibits. Teachers and carers are responsible for the good behaviour of students. If the building has to be evacuated, Museum volunteers will direct visitors to the safest exit - usually the front door where the assembly point is on the footpath to the right near the school zone sign. Teachers and carers are responsible for moving students across the road to Market Square. If the exit is through the rear gate, the assembly point is on the footpath. Teachers and carers are responsible for moving students across Queens Parade and then to Market Square. The Museum has a small first aid kit but the school group is responsible for providing any specialist equipment or medication requirements relative to their needs.